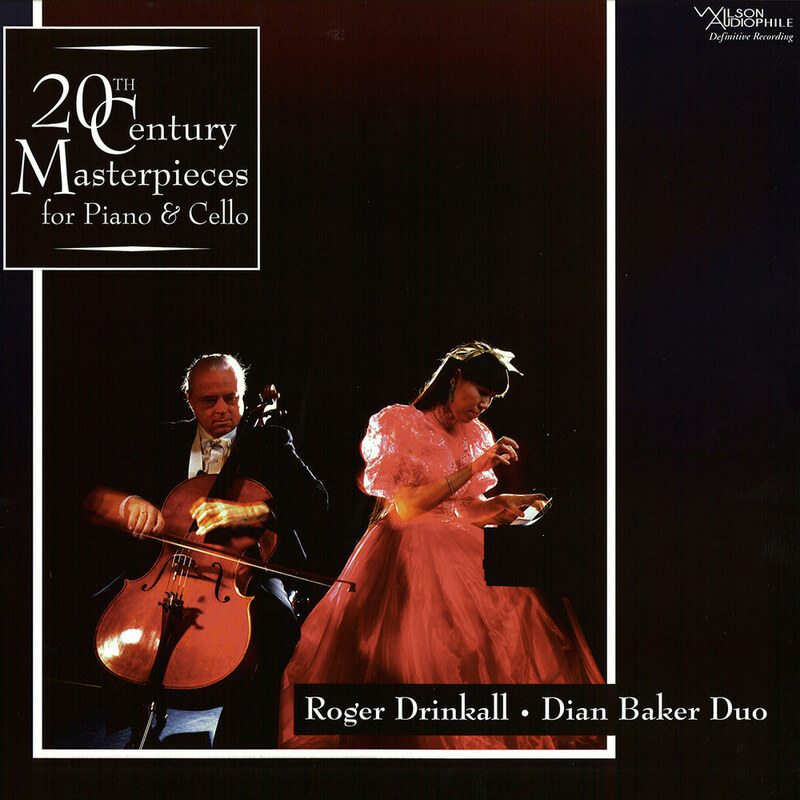 Late cellist Roger Drinkall and his pianist wife Dian Baker, once one of America's leading duos, claimed an extensive repertoire, from Beethoven and Chopin to Kodály and Weill. This 1992 album on Wilson Audiophile, long out of print, is renowned for its sound quality and presents glorious reference recordings of Barber's Cello Sonata as well as works by Debussy, Vaughan Williams and a transcription of Rachmaninov's Vocalise arranged for cello and piano. This album is a high-resolution digital transfer of material originating from an analogue master source. Due to the nature of analogue tape recording, it may contain artifacts or audio which uses a limited amount of the available dynamic range / frequency bandwidth of high-resolution digital audio. As such, it is offered as a high-resolution documentation of a historical release. Each Master Tape was inspected, cleaned and treated with Last #9 and #10 preservatives. All of the Master Tapes were baked to reformulate the binding. This was done in an incubator at 135 degrees and then they were left to cool back down to room temperature. All splices were inspected and repaired, if necessary. Each transfer was executed on the UltraMaster, a one-of-a-kind Studer A80 designed and built by John Curl with custom electronics. Each Master Tape was stored by Wilson Audiophile “tails-out” in which Puget Sound Studios did a library wind to the take-up reel. All levels were set according to included EQ sheets and each 1 kHz tone was further set at precisely 1 kHz, via a custom varispeed adjustment. This provided the exact speed the Master Tapes were recorded at. A total of five different analogue-to-digital converters were used to provide samples for the Wilsons to evaluate. Ultimately an EMM Labs ADC-8 Mk IV, custom modified by Andreas Koch, was chosen by Dave and Daryl Wilson for the transfers from the UltraMaster using the original Master Tapes into a Sonoma DSD workstation for capture and editing. Monitoring from the Sonoma DSD workstation was routed though a modified Playback Designs MPS-5 via USB-X with Light Harmonic USB cable. All DSD files were transferred into a Merging Technologies Pyramix DSD/DXD Masscore workstation for sample rate conversion, format conversion and metadata tagging. The Pyramix Hepta filter was used for conversion to PCM. Files were then listened to for quality assurance.